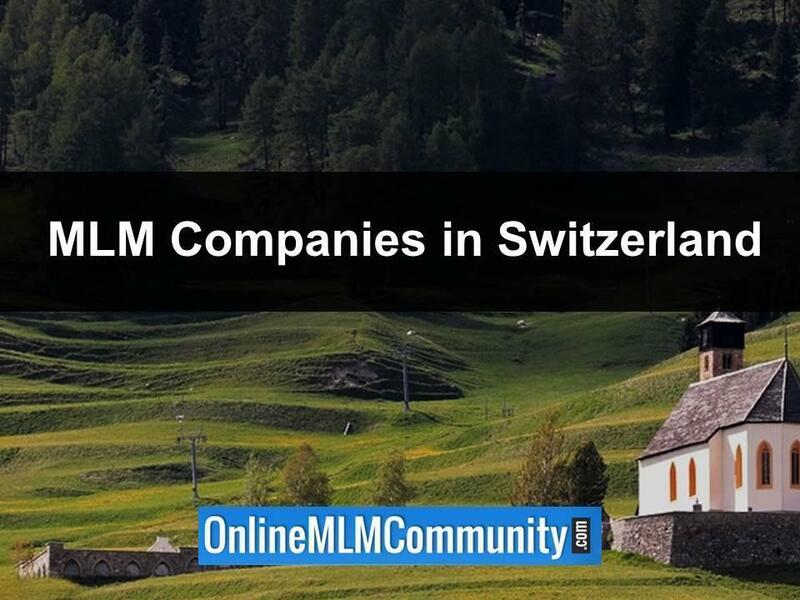 Today, I want to share the top 10 MLM Companies in Switzerland, as I see it. Switzerland is both a beautiful and a well managed country. Many of the finest products made in the world are manufactured in Switzerland. The country has always held many inventors and entrepreneurs and is also neutral when it comes to many political maneuvers around the world. Network marketing and direct sales are huge in Switzerland. 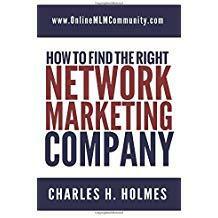 Some top names in MLM either started in the country or are headquartered there. But the Swiss people have their favorites and you just may be quite surprised as to the list I have put together. These are the top 10 MLM Companies in Switzerland, in my opinion. I will start with #10 and work up to #1. I will also put their website links in the reference area at the end of this post. Headquartered in Bern, Bandar was started in 1971. what is so cool about this company is the fact that the majority of products are made using handicapped individuals who are paid as employees. This is a great MLM business in that, it can help you find financial freedom and also supports mentally and physically handicapped people. Cleafin was hatched on the idea of cleanliness. Started in 2015 and based in Germany near the Swiss border, Cleafin products that can be sold by independent representatives who make a great compensation doing so. Cleafin has gained a huge following in a short time. This company who is headquartered in Gambarogno, Switzerland has been operating since 1946. This is a health and wellness company that has gained huge attention throughout Switzerland as well as in other parts of Europe. The Edifors products are made with a yeast and they contain an ample supply of the minerals your body needs. From what I hear, Edifors makes products that taste great and are great for your health. Now a part of the Vorwerk conglomeration that is based in Wuppertal, Germany, Jafra Cosmetics was founded by Jan and Frank Day in Malibu, California back in 1956. We all know that Switzerland is known for having some high quality cosmetic companies, but it seems the Jafra line has been highly favored in the country and you will find many successful Jafra distributors. The Jenny Lane line of jewelry is adored by women all over Europe. With their main headquarters in Belgium, Jenny Lane jewelry has offices all over and many women will actively seek out a Jenny Lane consultant to get the jewelry they love. From hearsay, I understand that Jenny Lane representatives just love the compensation plan. Be it necklaces, bracelets, rings or ear rings, you can always find quality with Jenny Lane. Founded back in 1984 and based in the United Kingdom, the story of how this fashion MLM started is amazing. When a successful businessman fell in love and wed a fashion designer, the 2 came together in a grand entrepreneurship way and founded Captain Tortue. Now, many people have become fashion experts by showing and selling the Captain Tortue line and getting rewarded handsomely for doing so. It is a great company with a huge following in Switzerland. It all started in 1963 when a man by the name of Andrew Garfield came to America and started a company called AMC (American Metalcraft Corporation) making some high quality cookware and using a direct sales business format. Headquartered in Pinehurst, North Carolina, AMC has been well accepted all over the world. Switzerland has several highly successful AMC distributors and customers just love their AMC cookware. Founded in 1901 and headquartered in Switzerland, Lux International is widely known for superior quality air filtration, vacuum cleaners and other products that make our environment cleaner and safer. Being a home known company, there are many Lux representatives throughout Switzerland. When Earl Tupper first invented that plastic container, even he probably never imagined it would become popular all over the world. He started the company in 1948 and it is still headquartered in Massachusetts, but there is an enormous customer base in Switzerland. Many Swiss would use nothing other than Tupperware to store food items. I did mention this huge company earlier. They do own Jafra cosmetics. Vorwerk has their hand in many brands with most being sold using direct sales or MLM. One of the most popular brands from Vorwerk is the Kobold Vacuum cleaners. They also have lines of kitchen appliances and cookware, as well as cosmetics. Vorwerk has many representatives in Switzerland as is a highly respected company there. Vorwerk was founded in 1883 and is headquartered in Wuppertal, Germany. There you have my opinion of the top 10 MLM Companies in Switzerland. Your opinion may be different and that is fine. Feel free to share your opinion or any questions you have in the comment section below. If you are considering starting a home-based business, all of these companies have good reputations and may be a good fit for you. Thank you and we hope your business, MLM or otherwise, does well. Disclaimer: Neither Online MLM Community nor I are affiliated with these MLM Companies in Switzerland. This information is provided as a service for your education. Awesome list of MLM Companies in Switzerland, Chuck. I love your blog. Thanks for sharing the video and the facts about Switzerland as well. Do you know if Herbalife or Amway do business in Switzerland? I like both of those companies. If they did business in Switzerland, I would consider joining them! I really don’t know about those two companies, Nick. Of all the companies that Greg put on this list, I would check out Vorwerk or JAFRA. Both of those are great Swiss MLM Companies worth checking out. Thanks for sharing this list of Swiss MLM Companies, Chuck. There are lots of good companies on this list. I have a few friends who have visited Switzerland to go skiing and they loved it. I don’t do MLM yet myself, but if I did, I would definitely want to work with a USA MLM company that did business in Switzerland. Of all the companies on this list, I would check out Tupperware. They are a USA based MLM Company doing business in Switzerland. The one thing I would check out is their policies and procedures to see if USA reps can sponsor people in Switzerland. You want to double check that, just so you know what you’re getting yourself into. Tupperware is a great company! Switzerland sounds like such an amazing place. Thanks for sharing the facts about the country. I would love to vacation there. I’m going to check out a few of these MLM Companies, so when I do visit, I can sponsor some local Swiss people and get a team going there. That will give me good reasons to return and visit Switzerland a few times each year. That’s a great idea, Brandy. Many successful reps sponsor people internationally so they can travel the world and write off a part of their travel. I’ve also found that international folks are much more open to MLM than many Americans are. I’m not sure how the Swiss people view MLM, but I’m sure it is quite popular. Thanks for visiting my blog. I’ve always wanted to go to Switzerland. Do you know if any of these Swiss MLM Companies also do business in America? If so, I could sign up here and then travel abroad and build an international business in Switzerland. That would be exciting. I would simply visit each company’s corporate site and see what countries they do business in. That should give you a great starting point.